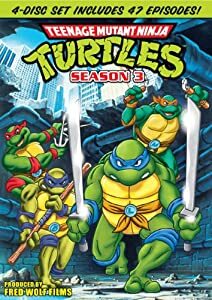 This was a great collection of action packed TMNT episodes! I used to love watching the series when I was younger and now I can not only share this with my own daughters, but I can watch them uninterrupted. I also have to say that I always loved the original artwork in this cartoon series and this DVD brings out this great artwork for all to see and experience. Whether you are a TMNT fan or not, you will appreciate the plot and action within each episode and you will be drawn into the series (trust me!). All-in-all this was a great series that I know will be one that I will keep coming back to over the years!